Heat the oil in a large non-stick frying pan over high heat. Add the lamb and cook, breaking up any lumps with a wooden spoon, for 6–7 minutes or until golden brown. Add the harissa paste, tomato paste, salt and pepper and cook, stirring, for 1–2 minutes or until combined. Add the stock and cook for 4–5 minutes or until slightly reduced. Set aside and keep warm. While the lamb is cooking, add the eggplant, oregano and half the feta to the waffle batter and fold to combine. Preheat a lightly greased waffle maker according to manufacturer’s instructions. Cook ¾ cup (180ml) of the waffle batter for 6–7 minutes or until golden brown and crisp. Repeat with the remaining batter to make 4 waffles. 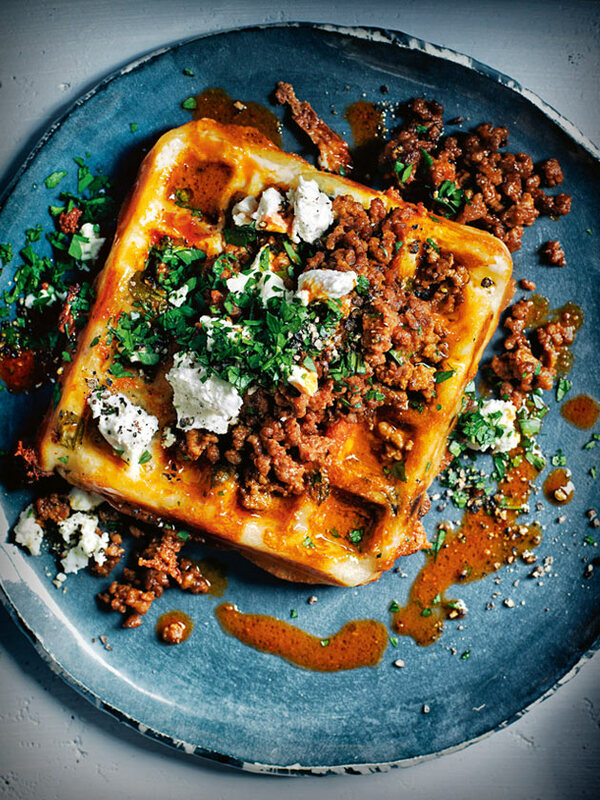 Divide the waffles between serving plates and top with the harissa lamb. Sprinkle with the remaining feta, pepper and the parsley to serve. Serves 4. + You can buy char-grilled marinated eggplant in jars from supermarkets or at delicatessens. 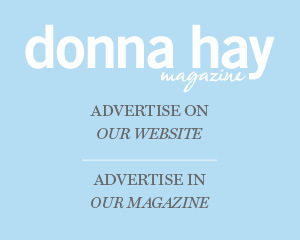 If in oil, drain before using.